CTI offers a number of solutions for customers in the medical field. The clean appearance CTI's industrial medical devices are sure to be appealing in any medical environment, and include CTI's uncompromising high standards for reliability and durability. CTI Electronics' NEMA 4 (IP66) sealing medical keyboards with full 101/104 key functionality. 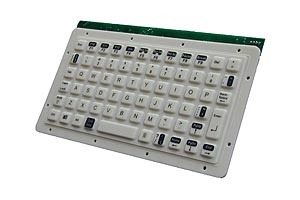 CTI’s OEM medical keyboards use advanced designs for sealing and reliability, are molded of silicone rubber and have 2 mm travel with excellent tactile feel. Gold over nickel contacts combined with superior sealing (waterproof) assure users of years of reliable operation. 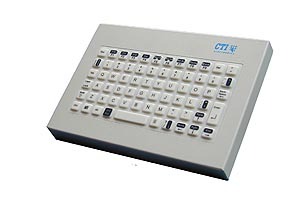 CTI’s OEM medical keyboards are available as keyboards only, or with CTI's high reliability OrbitalMouse or ARROWMOUSE mouse pointers. 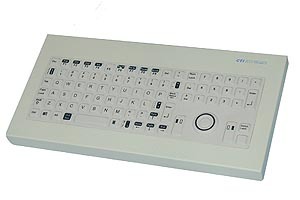 These medical keyboards are a perfect fit for custom panels, and are an excellent solution when portability and space are a consideration; such as medical equipment carts. 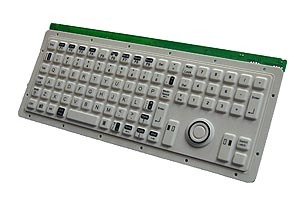 Many of CTI’s OEM medical keyboards are also available as illuminated keyboards with red or green backlighting; for areas with low level lighting.